This is to inform all the newly admitted students of the Federal University Wukari (FUWUKARI) that the authorities of the institution have released the registration and clearance procedures for the 2018/2019 academic session. SEE ALSO: FUWUKARI Admission List. 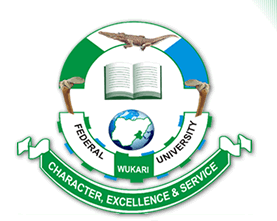 FUWUKARI Clearance & Registration Procedure for Freshers. To be eligible for clearance as an admitted candidate the conditions set out by the Joint Admissions and Matriculation Board and the Federal University Wukari must be met. Candidate’s admission must have been approved by the Joint Admissions and Matriculation Board (JAMB) on their Central Admissions Processing System (CAPS). Candidate must have accepted the offer of admission as approved by the JAMB. Note: All students are advised to note that registration will end on 2nd February 2019 and late registration attracts a fee of five thousand naira (#5000.00). Click on the Pre-Admission Screening Login Link on the Portal. Then on the displayed page, use your JAMB Registration Number as Login ID and Surname as your default password, thereafter, click the login button. Wait for clearance before you proceed to the next stage of registration. Next pay the appropriate University charges as provided in your portal. After the completion of the Steps above (I – II) interact with your Level Adviser and/or HOD on the Courses to be registered for your Programme. Login to your Portal and update your bio-data carefully on the University Site. You will be required to change your initial Password from your surname to a confidential one known to you alone. Ensure you master your new password off-hand. If you forget your password, the password recovery is available online. Please be mindful of the spellings and arrangements of your names based on the provided template. In addition, you are expected to choose the initial part of your institutional e-mail that you are entitled to as a student. Click on Course Registration link to proceed with your Course registration, as defined by the Level Adviser and/or HOD, thereafter, click submit to allow for the approval of your Level Adviser. Print out your preliminary Course Registration Form and interact with your Level Adviser to authenticate the Courses you have selected. Note: Any Student who fails to authenticate registered Courses with the Level Adviser before payment does so at his/her own risk, as he/she may be required to pay for Add/Drop Form to make amendment(s).